In what feels like the longest Winter in history, we all need this balm in our lives! I received mine as a gift for my birthday this year from my friend Tara and what a great gift. This multi-purpose Babe Balm is made up mostly of oil based ingredients. I imagine this is music to anyone with dry skin’s ears. I’ve been using it on my lips, cuticles and elbows. After a little research it seems this has so many more uses. People have been using it as a highlighter and even on their lashes! I’ll be giving this a go later today! On first application I didn’t think the texture would be as thick coming out the tube but soon as the product makes contact with your skin it transforms in to this gorgeous silky soft texture. One of the recommendations I’ve read is to mix it with your mineral makeup to create bespoke blushes and stains. Something I hadn’t thought of doing with this beauty balm. You have the option to use it as a night cream as it contains Coenzyme Q10 which is found in many high street skincare products (essentially an anti oxidant which occurs naturally in cells in the body and helps protects the body from damage caused by harmful molecules). I’m usually a Vaseline using gal but this packaging is so on point, it’s an easy trade for me! It’s fresh and colourful and I love having it in my handbag. I’m a little unsure about the smell myself, I can’t really workout what it reminds me of. 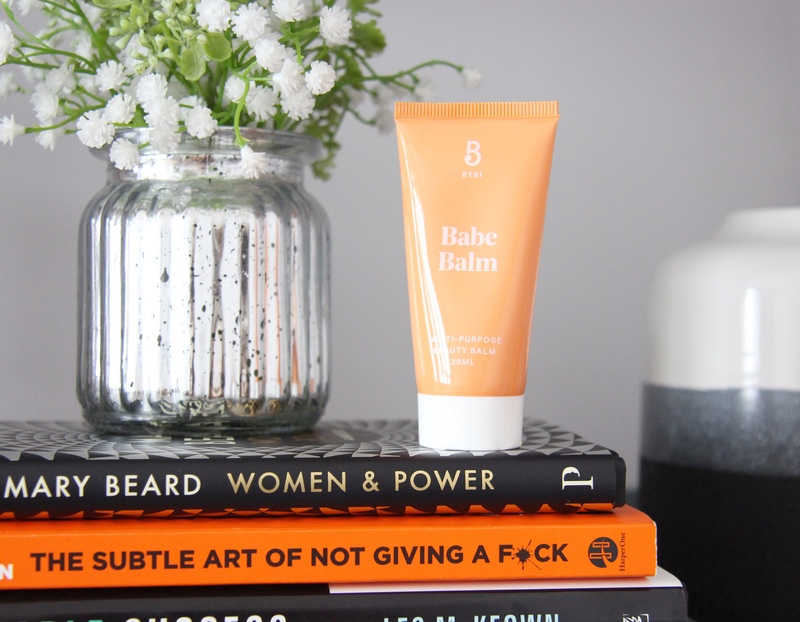 If you’re particular about the brands you use, Babe Balm contains fruit wax and not beeswax so it is suitable for vegans to use. For me personally, this is a great little find. If you’d like to see what else I’ve been up to why not check out my most recent blog here to see if this 24 karat gold mask is worth they hype! Previous Post Is this 24 karat gold face mask worth the hype?